Musicians who influenced a whole generation of sulky Gen-Y-ers probably get short shrift when it comes to releasing their “comeback” album or their “new me” album or that “raw, personal album I’ve been dying to do for years” album. 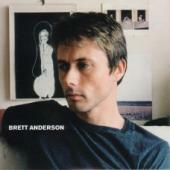 But I’m pretty sure even if you didn’t take into account the opiated greatness of Suede, or the lush, lyrical pop of The Tears, you’d still be expecting a whole lot more from Brett Anderson than this bland mesh of adult contemporary and lazy ballad-writing. Opening track “Love is Dead” is not as bad as its title would have you believe; it opens with a few swipes of the old cinematic violin before delving into heartrending piano melodies. Listen any harder though, and whiny lines like “Plastic people everywhere, with their plastic smiles” begin to grate.